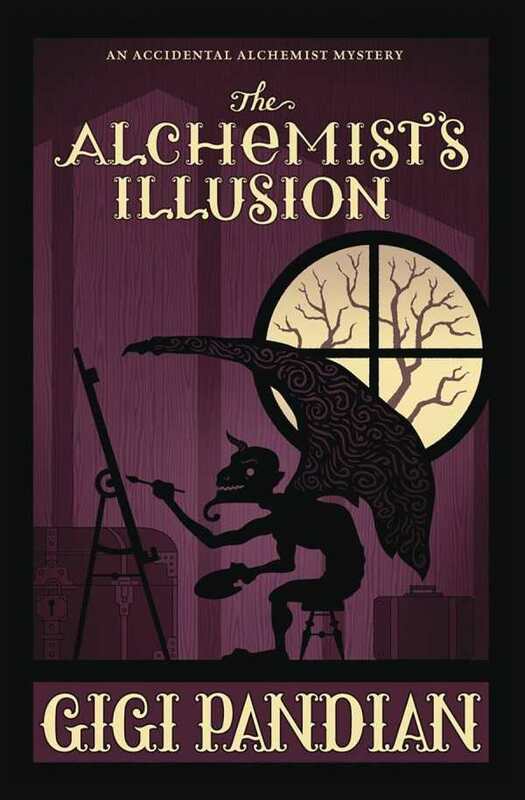 In The Alchemist’s Illusion, Zoe Faust continues her search for a missing mentor. The mystery involves an evil painting, a phoenix pendant of dark provenance, and an art crime that spans centuries. On one of Zoe’s walks through a fictionalized Portland, Oregon, the ageless alchemist discovers a mystery—her former mentor Nicolas has been captured in a frightening and realistic portrait. Before Zoe can investigate, the artist who holds the secret of the painting is murdered. Then, the painting itself vanishes. The latest in Gigi Pandian’s Accidental Alchemist series, The Alchemist’s Illusion has a modest scope. Zoe may be six hundred going on twenty-nine, but she plays by the rules. Her life is not spectacular—a roof that no longer leaks is cause enough for celebration to her. Zoe’s surroundings are made twee, and she delivers reflections such as that “apothecary shops were the first art stores.” She knows more about pigments than about personal relationships. Through her, the magical intertwines with the ordinary; the mixture is sweet and adds tension to the mystery. Characterizations are strong, especially when it comes to Zoe’s gargoyle friend, Dorian, who steals every scene he’s in. The mystery elements are not as vibrant, and clues do not always connect to one another in a clear way. The book is cluttered with characters and subplots. Details from the past sometimes muddy the waters, particularly with jumps between the modern day and Renaissance-era Europe. The Alchemist’s Illusion is an ambitious cozy mystery that functions best within its series and that sparkles most when it stays true to the wonder of its magical subject.